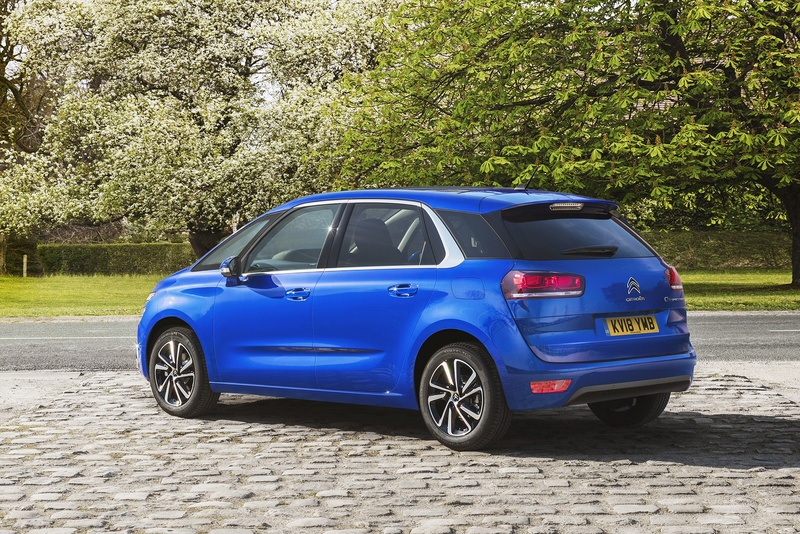 If you need a family-sized five-seat MPV but don't necessarily want one, look straight to this car, the efficient and surprisingly sophisticated Citroen C4 Space Tourer. It's extravagantly designed and comes with some genuinely innovative features. 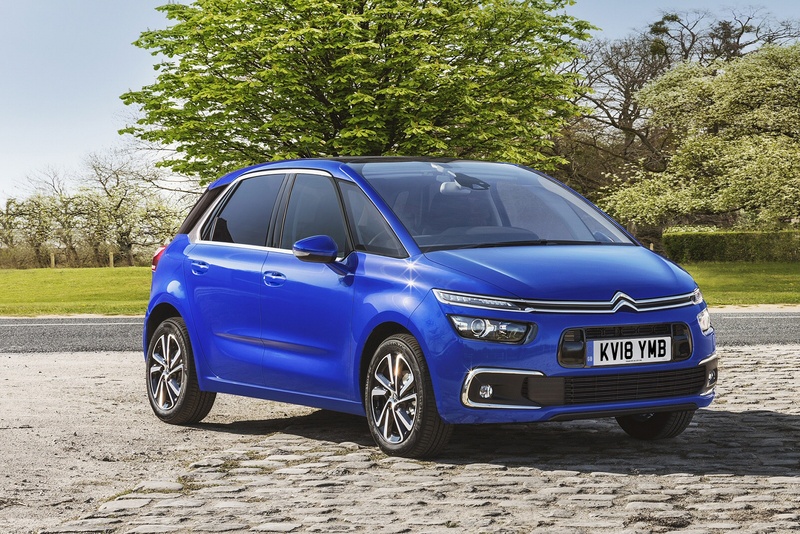 Citroen has finally parted company with the Picasso name for its mid-sized MPVs in favour of the 'Space Tourer' badge that for some time has been used on its largest van-based People Carrier. As before, there's also a seven-seat 'Grand' version of this model, but our focus here will be on the standard five-seat variant, which continues to compete against Ford's C-MAX and Renault's Scenic. With both those two rivals significantly improved, Citroen has moved to improve the C4's safety technology and has added a fresh BlueHDi 160 diesel engine paired with a new EAT8 automatic gearbox at the top of the line-up. On the move in a C4 Space Tourer, the driving experience is a little bit different from what it would be in other rival family MPVs. There isn't much fun to be had in terms of driving dynamics but in compensation, you float over road imperfections, marvel at the unusually hushed levels of refinement and enjoy the benefits of a commanding driving position. That's a huge help at roundabouts or when parking and, with this panoramic screen, makes it seem like you're suddenly viewing the world in high definition. Under the bonnet, much has changed since this car's original launch, Citroen having updated all of its mainstream engines in more recent times. The volume BlueHDi diesel powerplant is now 1.5 rather than 1.6-litres in size, but its 130hp output is slightly higher than before. The 2.0-litre BlueHDi diesel option gets a slight power hike too - to 160hp. Elsewhere in the range, the efficient 1.2-litre three cylinder PureTech petrol engine continues, but only in 130hp form. There's a fresh auto transmission option too, the jerky old six-speed 'EAT6' self-shifter finally ditched in favour of a much smoother eight-speed 'EAT8' unit that's optional with the two 130hp powerplants and standard on the top BlueHDi 160 diesel. 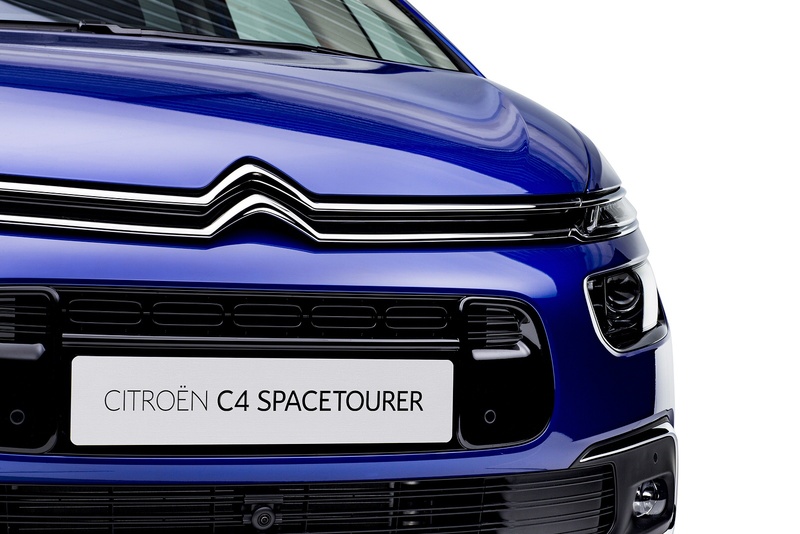 The change of name hasn't come with a change of look, so these revised SpaceTourer models keep the previous C4 Picasso's three-tiered light signature at the front, which is synonymous with Citroen's contemporary design language. The grille is separated into two parts by the body-coloured bumper and sports a glossy black registration plate mount and a second air intake. Plus there are smart 3D-effect rear lights, classy 17-inch diamond-cut alloy wheels and buyers get the option of a black two-tone roof. Inside, there's clever interior packaging that designer Frederic Soubirou is clearly proud of. We like the optional lounge-style front passenger seat that features an extendable footrest and massage function. On a more practical note, there's a 537-litre boot that's 60-litres bigger than that of a Ford C-MAX. Slide the rear bench forward and you get up to 630-litres. We'll deal with the long wheelbase Grand C4 SpaceTourer Picasso separately, but the standard length car features three rear seats that can be slid back and forth, reclined or folded flat independently of one another. What's more, the floor is devoid of a raised tunnel, aiding utility still further. The side windows do angle in fairly sharply which can make taller rear seat passengers feel a little pinched but other than that it's hard to find fault. Materials quality in the cabin is smart, with classy metal finishes and simple yet effective ergonomics, something we have rarely been able to say of previous Citroens. The prices are still reasonable, with an entry-level PureTech 130 petrol model costing from around £22,500 and the BlueHDi 130 diesel setting you back from around £24,000: that's a fraction above what you'd pay for a comparable Ford C-MAX. 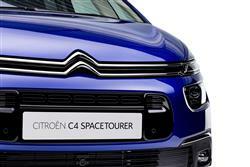 It's fairly easy to see why customers would pay a small premium for the C4 SpaceTourer though. It's the reason why buyers will pay more for an Apple versus a Dell - slicker design values. Recent media developments include a Citroen Connect radio that includes Apple CarPlay and MirrorLink smartphone connectivity. And a 'Citroen Connect Nav' system with connected services that can tell you everything from weather forecasts to local parking and fuel station info. These functions, like many others in the cabin, are marshalled by the big touch screen display. We know some of you prefer the tactility of a switch or button and there are occasions when the C4 Picasso's screen demands your attention for longer than is ideal, such as when adjusting the cabin temperature settings, which will require you to navigate away from, say, the sat nav or stereo functions and find the ventilation screen. Yes, it helps clean up the fascia but at some cost to actual everyday utility. Even entry-level C4 SpaceTourers are fitted as standard with alloy wheels, Bluetooth and a six-speaker stereo with a USB socket. Range-topping 'Flair' models get features such as adaptive cruise control and the rather lovely lounge-style front passenger seats. It's just like being in a TGV. Except slower and without French school kids constantly running past. 'Flair' trim also now gets you extra standard safety kit, including Driver Attention Alert, Speed Sign Recognition and Recommendation, and Active Safety Brake. Citroen has worked hard to improve the efficiency of its engine range in recent years and it can now stand toe to toe with the very best. We tried the 1.2-litre three cylinder PureTech unit, available in just a single 130hp state of tune. Here, you can expect 54.3mpg on the combined cycle and 119g/km of CO2 - and fractionally better than that if you order this green pump engine with the new EAT8 auto transmission. If you prefer the other volume powerplant, the 1.5-litre BlueHDi 130 diesel, you're looking at 70.6mpg on the combined cycle and 105g/km of CO2, regardless of your choice between manual or auto transmission. That'll be enough to keep your C4 Space Tourer exempt from road tax. For completion, we'll also give you the figures for the top engine you can have in a C4 Space Tourer, the 2.0-litre BlueHDi 160 diesel, which comes only with the EAT8 auto gearbox. Here, the figures are 60.1mpg and 124g/km for a 'Feel' model with 17-inch wheels; obviously, you'll do fractionally worse with top-spec 'Flair' trim and its larger 18-inch rims. What else? Well maintenance costs will be aided by the option of an affordable three year servicing plan. Plus there are reasonable insurance groupings rand the usual three year / 60,000 mile warranty. If you�re looking for a new Citroen C4 Space Tourer 2.0 BlueHDi 160 Feel 5dr EAT8 Diesel Estate for sale, you�ve come to the right place. At Bristol Street Motors we don�t just have the best Citroen C4 Space Tourer 2.0 BlueHDi 160 Feel 5dr EAT8 Diesel Estate deals, we also offer friendly advice and help with all your enquiries to ensure your buying experience is a happy experience.